Despite his eternally youthful good looks that defy both his age and experience, it really is 10 years since Vodafone McLaren Mercedes test driver Pedro de la Rosa made his Formula 1 debut -- at the 1999 Australian Grand Prix. At the wheel of an Arrows A20 fitted with a 3-litre Hart V10, Pedro started his first grand prix from 18th (out of 22) and finished sixth, scoring a point on his Formula 1 debut. 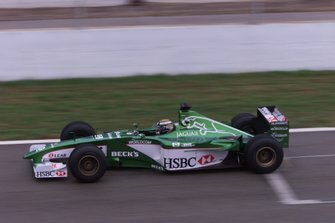 After a stint at Jaguar Racing, Pedro joined McLaren-Mercedes in 2003 and has become an integral part of the operation, successfully racing for us on nine occasions, and repeatedly proving invaluable in refining and developing the team's cars into race- and championship-winning contenders. "I've known Pedro since he joined the team in 2003. His approach, outlook and positivity were an inspiration to me as I prepared to make my Formula 1 debut. His efforts over the years have lifted this team to some phenomenal heights. I am proud of what Pedro has done -- and continues to do -- for Vodafone McLaren Mercedes, the guy is a legend." "Pedro is such a professional. 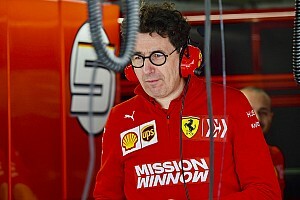 He has incredible technical knowledge, takes his job very seriously, works so hard and still has 100 per cent motivation to help improve the team and the car. He's also one of the nicest guys in the paddock, somebody who takes the extra time to ensure the drivers are properly represented by the GPDA and, perhaps most importantly, somebody who will always put a smile on your face." "If you are looking for an example of a modern Formula 1 driver who works tirelessly to ensure that no stone is left unturned in the quest for additional performance, then you need look no further than Pedro. There is absolutely no denying that his considerable abilities have had a direct impact on our performance. In particular, his relentless support and guidance during the seasonal development of last year's MP4-23 helped maintain it at the competitive vanguard until the crucial final race in Brazil. 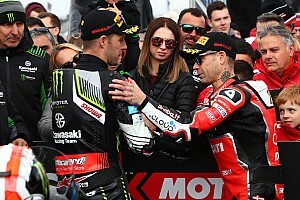 He is not only the best test driver in the business, he is also a fantastic bloke and an essential and much-loved part of our team." "Ten Years After: what great memories! I was here in Melbourne when Pedro started his first Formula 1 race for Arrows. He is such a dedicated driver and a knowledgeable specialist -- arguably the man with the biggest technical background behind a Formula 1 steering wheel. Pedro came to McLaren-Mercedes nine Formula 1 cars ago, droving and helping to develop all of them and contributing enormously to our recent successes. Pedro is an integral part of a team which has won 27 grands prix since he joined in 2003. Most importantly of all, Pedro is a very good friend and always will be. Thanks Pedro, we need you even more with the greater restrictions on testing and I feel privileged to work with you." 1. Pedro has driven in 71 grands prix for Arrows, Jaguar Racing and McLaren-Mercedes. 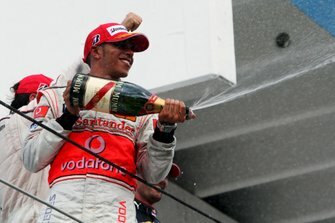 He has scored 29 points, taken one podium (second in Budapest, 2006) and one fastest lap (Bahrain, 2005). 2. He joins a select group of 57 drivers who have scored points on their Formula 1 debuts. 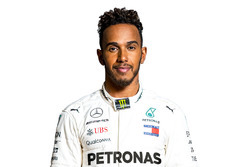 Past luminaries include world champions Alain Prost (6th, Argentina 1980), Jacques Villeneuve (2nd, Australia 1996), Kimi Raikkonen (6th, Australia 2001) and Lewis Hamilton (3rd, Australia 2007). More recently achievers include, Sebastien Vettel (8th, USA 2007) and Sebastien Bourdais (8th, Australia 2008). 3. His first test with McLaren-Mercedes was at Jerez on March 12 2003 at the wheel of the MP4-17D. 4. Over the course of seven seasons, Pedro has spent 214 days testing for McLaren-Mercedes. 5. Pedro's busiest season as the team's test driver was in 2006: he drove at six circuits over the course of 54 days and recorded a staggering 4958 laps! 6. In terms of laps completed, Pedro's busiest-ever day was at Paul Ricard on March 22 2006, when he drove 169 laps on a shortened circuit in a single day. 7. He has driven 2966 testing laps of his native Circuit de Catalunya for McLaren-Mercedes! 8. He is a multiple champion, winning the 1997 Japanese F3000 and Super GTs championships, the '95 Japanese F3 series to earn the Japanese nickname 'Nippon Ichy' -- the number one. He won the British and European Formula Renault championships in 1992, 1990's Spanish Formula Ford championship and the 1989 Formula FIAT series. 9. His nickname is 'the Barcelona Bullet'. 10. As well as spending the entire 2005 season as the team's Friday driver, Pedro has tested for McLaren-Mercedes at 10 circuits: Barcelona, Jerez, Monza, Mugello, Paul Ricard, Portimao, Sakhir, Sepang, Silverstone and Valencia. 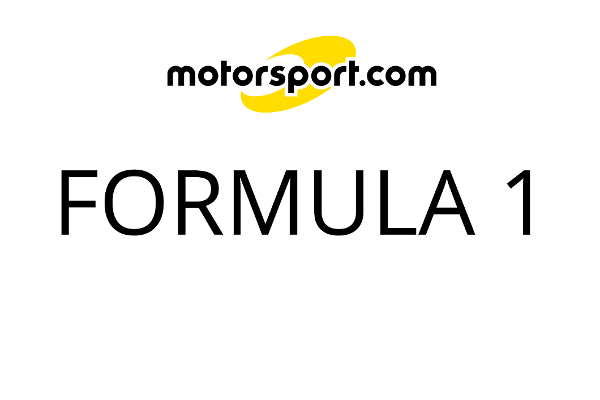 What are your memories of the 1999 Australian Grand Prix? "I remember every detail as if it were yesterday: coming out of the pitlane and selecting second, third, fourth into Turn One. It was my first grand prix and the trip to Australia was like an adventure. I stayed calm for the race because it was my first grand prix and I was not expected to score a point. I enjoyed that grand prix massively -- I will always remember having Michael Schumacher in my mirrors for a few laps, that was a good feeling!" What was your reaction afterwards? 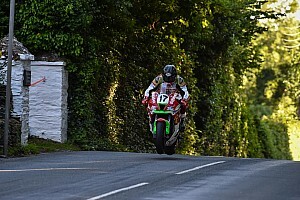 "The team were so happy, they were delighted. Possibly the least happy person was me because I'd only scored one point. When you first get to Formula 1, you're so used to winning almost every race that it's a bit of a shock to find yourself towards the bottom of the timesheets. Then your mentality changes a little because you start to lose that killer instinct; it's just something that happens. Looking back now, sixth wasn't too bad -- but I wanted to be on the podium so badly. And everybody knows that that didn't happen until 2006, so I learned the hard way." What did you learn from your first race in Formula 1? 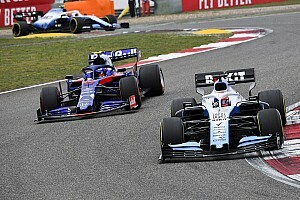 "My Formula 1 career started off very well, and I thought if we started developing the car we would be able to score points more consistently -- but obviously that didn't happen and we didn't finish in the points again. 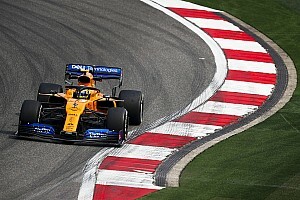 I learned quickly just how tough Formula 1 could be; how essential it is to develop a car over the course of a season and how critical reliability can be. I learnt a lot -- and I did it the hard way, but everything I learnt back then is still incredibly important to the work I do today so they were all good lessons."